Mineshop Holiday Cottages can be found tucked away in the most perfect, secluded and tranquil setting. Located just a one mile walk through the private fields and along the valley footpath from the beach; a special spot to enjoy a holiday away from it all. All of our cottages are dog friendly so you can bring your four-legged friend on holiday with you! Your dog(s) will be able to enjoy lead free play in our private fields, woodland and stream. There are many fantastic beaches in the area that allow dogs all year around and many breathtaking walks for every ability. Peace & Tranquility Cornwall is located in the far South West of England and boasts miles of stunning coastline, golden beaches and crystal clear waters. There are many celebrity restaurants to enjoy, along with more rustic, vibrant cafes where you can pick up a proper Cornish Pasty or a Cornish Cream Tea (jam first of course!) Crackington Haven is located between Bude and Boscastle on the spectacular North Cornish coast. It's a quiet seaside village offering a stunning beach with dramatic cliffs on either side, perfect for making sandcastles, rock-pooling for crabs and even trying your hand at surfing; the beach is patrolled by lifeguards during the months of July and August. Crackington Haven is host to a fantastic dog and child friendly country pub which takes full advantage of the stunning views out across the sea. There is also a choice of two beach cafes offering excellent food and drinks all year round. Details: From 11th May to 18th May in a sleep up to 4 Cottage, 7 nights at £410.00 or 3 night break starting on a Friday or a 4 night break beginning on a Monday at £260.00. 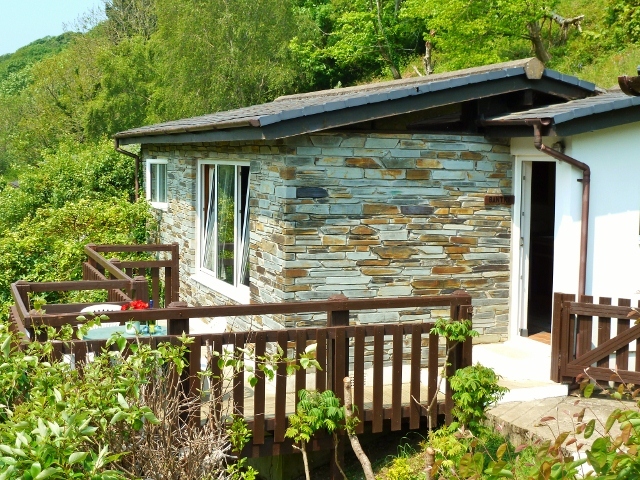 From June 01st to June 08th in a sleep up to 4 Cottage, 7 nights at £494.00 or 3 night break starting on a Friday or a 4 night break beginning on a Monday at £297.00. From June 08th to June 15 in a sleep up to 4 Cottage, 7 nights at £500.00 or 3 night break starting on a Friday or a 4 night break beginning on a Monday at £300.00. From June 15th to June 22nd in a sleep up to 4 Cottage, 7 nights at £525.00 or 3 night break starting on a Friday or a 4 night break beginning on a Monday at £313.00. Details: Special Offers Up until Easter we can offer 3 nights from Friday or 4 nights from Monday @ £210.00, 7 nights at only £319.00 Please go to our online booking Page Short Breaks are available all Year round, so please do enquire and we will get straight back to you with a price.